A Prefab is a mass produced house, constructed in a factory and assembled on site in a few days or weeks. Once regarded as a cheap, easy solution for urgent housing problems, the prefab has evolved to become a synonym for ambitious design and sophisticated detailing solutions. The amazing history of prefabricated houses started in England in the 1830’s with a building kit for emigrants moving to Australia. Even today, prefabricated houses provide a high percentage of living spaces in many countries of the world. This book covers prefabs from the USA via Europe to Asia and Africa, giving insight into the various industrially prefabricated components, the difficulties of delivery to the building site, and the intricacies of assembly and completion. As well as tracing the liaison between modernism and industrialization that evolved to produce the latest prefabricated solutions, it also features a unique compilation of one-off prefabricated houses by well known international architects, as well as successful dwellings manufactured off-site for everyday modern living. Readers will also find contact details for relevant suppliers and manufacturers. Peter Gössel runs a practice for the design of museums and exhibitions. He is the editor of TASCHEN’s monographs on Julius Shulman, R. M. Schindler, John Lautner and Richard Neutra, as well as the editor of the Basic Architecture Series. Arnt Cobbers studied art history, history and musicology, and did his PhD in medieval church architecture. He lives as a freelance author in Berlin, and has written several books, mainly about history and the architectural history of Berlin. His monographs about Erich Mendelsohn and Marcel Breuer were published by Taschen Verlag. He is also the editor of music magazine Concerti. Oliver Jahn studied literature, philosophy, and linguistics. He has worked as a freelance writer for Die Welt, the Süddeutsche Zeitung, Rheinischer Merkur, as an editor at Suhrkamp Verlag, and as design and architecture editor at Monopol magazine. 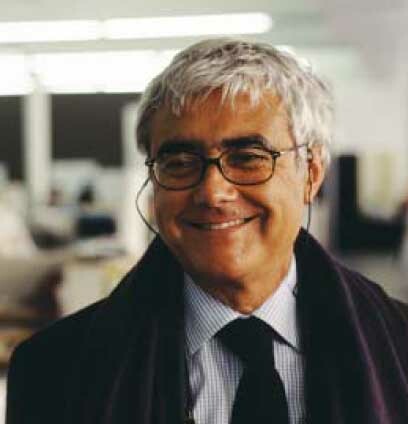 Currently he is director of architecture and design at Architectural Digest magazine. August 18, 2010 in Books.